Imagine a world without the wonder of literature. A place bereft of Harry Potter’s spells or Atticus Finch’s soaring oratory. Sadly, for most of our students, this is the case before they reach The Mungere School. The only books they have ever had access to are primary school textbooks that, while important, do little to foster the imagination. Here at Red Sweater Project we are aiming to change that. 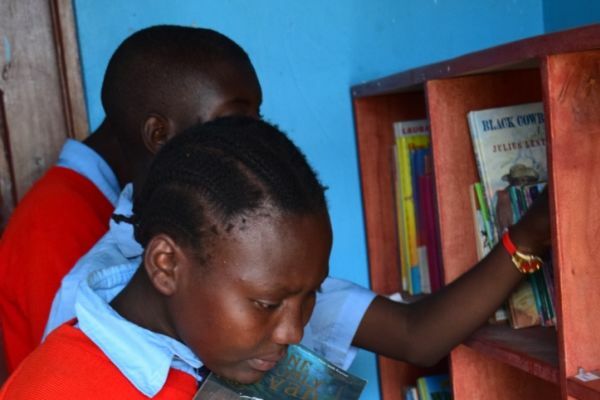 The school library is now going from strength-to-strength since it started last year. 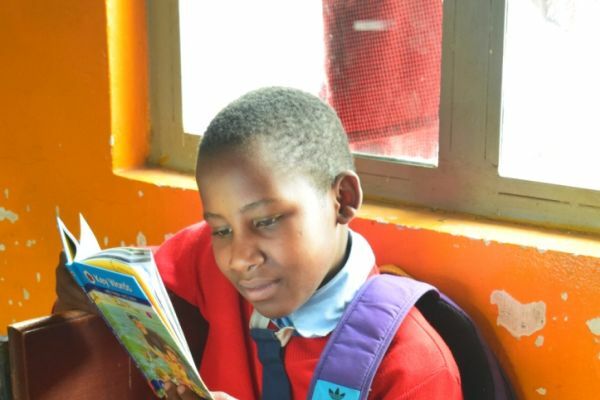 Friends and family of volunteer teacher Jane Wharton kindly donated almost 70 books to kick-start the new book-lending scheme. 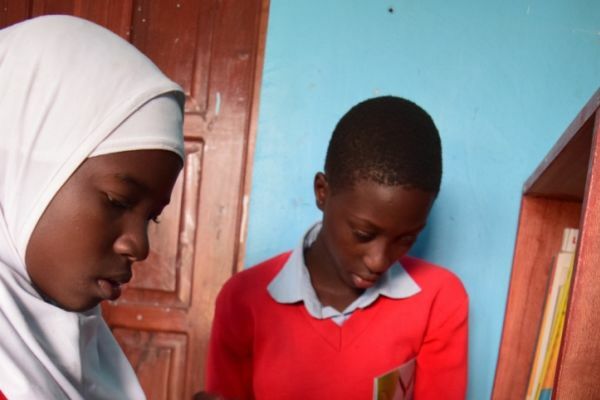 University anatomy books were donated to help budding medics while photography books helped students see a world beyond Tanzania. They began to devour fairytales such as Robin Hood and are working their way up to the classics like To Kill A Mockingbird and Animal Farm. 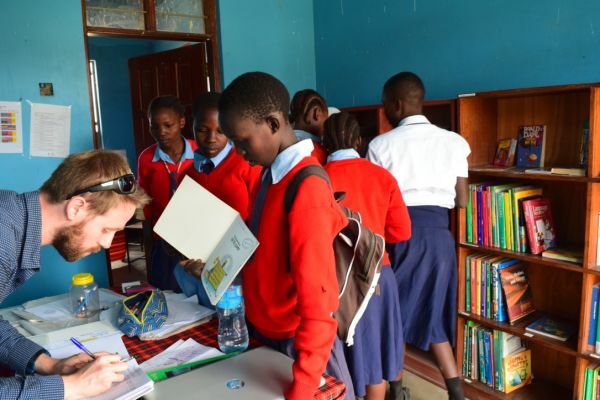 At the start of this term, new volunteer teacher Tom Houplin gave the project a fresh injection of books and enthusiasm. A fundraiser saw him raise over $750 from generous friends and family and the book-buying has begun again in earnest. Students are now learning all about dinosaurs, Roald Dahl and even beginners philosophy! 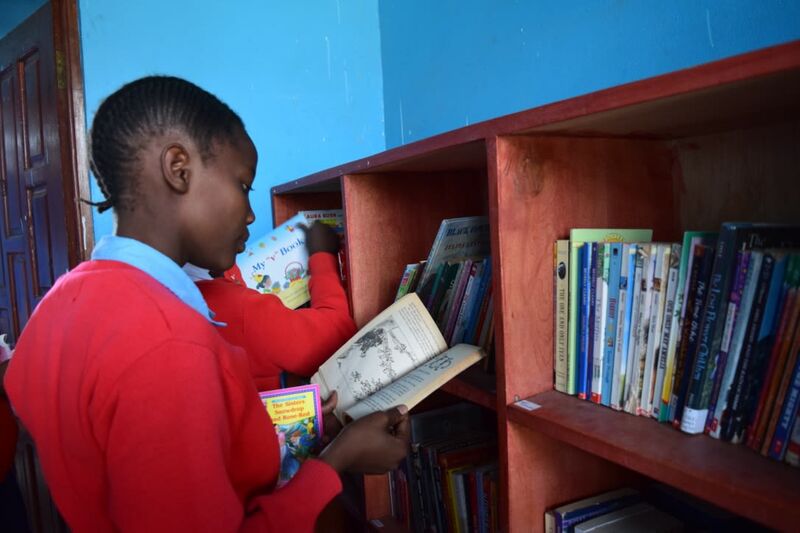 The library now stands at over 300 books and, for the first time, students are allowed to take them home to read in their free time. At any given time, there is usually a student with a head buried in a book or bashing into walls trying to read and walk at the same time! 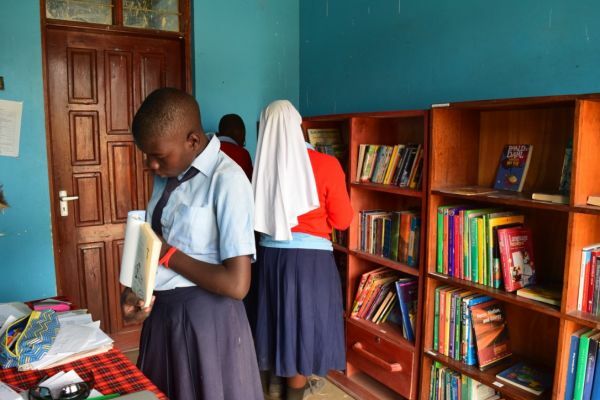 The hope is the library will improve their English, which in turn help in all their subjects. But, maybe more importantly, it will give flight to their creativity and spark their imaginations.